Our bar & hospitality team are those wonderful faces you’ll be seeing throughout your wedding day, on-hand to assist with anything at all you might need. They are the ones who’ll make sure all your catering and drinks services run to perfection! They’ll be putting all those finishing touches and final details to your wedding, so they are exactly how you envisaged them. They make each area perfect before you and your guests arrive. And of course, they’ll be making sure everyone can enjoy a drink! I had a recommendation from a friend who already worked here and told me what a wonderful place it was to work so I applied straight away! As I am mainly responsible for the bar, I need to make sure that we offer an amazing range of products that are well presented by a team who are passionate about great service. 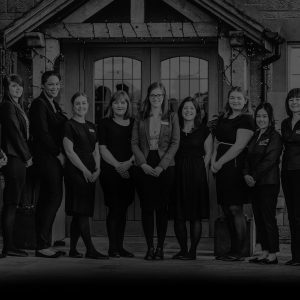 The best thing about Heaton House Events is the team work, every single department throughout the venue; the laundry, office, events, venue and housekeeping, everyone has to pull together to ensure our couples have an amazing day from start to finish. I was overwhelmed to be offered the position of Hospitality and Bar Manager after only working for the company for such a short time. But my personal proudest moment was riding a segway by Madrenaline Activities at my first staff night, my legs were quivering but I did it and ended up in an egg and spoon race, it was fantastic! Scary! But fantastic! Come and have a look around. I knew it was a place I really wanted to work from the moment I came for my interview. Make sure you relax and enjoy your day. It's our job to take care of everything so make sure you make the most of every moment. I wanted to join Heaton House Events to work as part of a fantastic team preparing and working a variety of events for a well-known business where I would be able to do a variety of jobs. Some days I can be setting up the venue for the events. On the event day itself, I might be with the housekeeping team turning the accommodation rooms around ready for the next guests. Or you might catch me behind the bar serving drinks or even cooking breakfast the following morning! Every day is different for me! I love working with the team, and I also really enjoy seeing the varied events that we get to be a part of. I joined the Heaton House Events team on a part-time basis and was so proud to be offered a full-time role leading and supervising the venue team. You will have an amazing time, everyday is something new and exciting! Give the Coordinators lots of information about your event so that we can provide you with the day of your dreams! Having many years of working the standard 9-5 Monday to Friday job looking at the same four walls, it felt great to come to Heaton House where my jobs had such variance that even I didn't know what I’d be doing the next day! I work alongside our team of wedding coordinators ensuring smooth running of the events. I partake in all aspects of the day, from running the bar, the ceremony music, to setting up the venue and even the parties in the evening. Every day is different, new tasks, new challenges and new people. No day is ever the same and you just don’t know what exciting things you’ll see, who you will meet or what you will do. I have many proud achievements! Every time I receive a thank you, hug or great review I feel like I have achieved something great. There is no better feeling than knowing that you helped someone make their dreams happen. If you fancy something different from your usual run of the mill job, come to Heaton House, we guarantee you exciting work with a wonderful team. Let us take the reins, we know exactly what we are doing here at Heaton House.